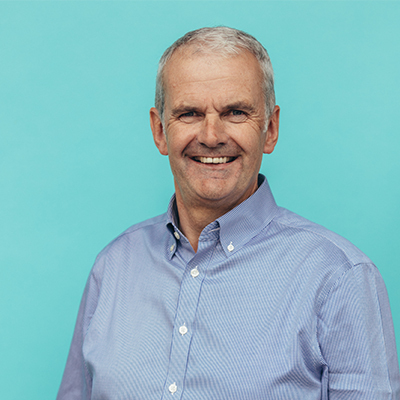 David Hartley, MD of the Wensleydale Creamery, has today been named as one of Grant Thornton’s 2018 Faces of the Vibrant Economy. The Wensleydale Creamery, based at Hawes in the heart of the Yorkshire Dales National Park, is renowned for its traditional cheese-making skills, as well as being innovative with the development of new cheese and dairy products. With a turnover of £29million, the business plays a vital economic role in the deeply rural area in which it is situated, contributing £14m to the local economy through milk payments, wages and purchases. At the forefront of business innovation and, going above and beyond to accommodate its visitors to give them an unforgettable experience, the Creamery has managed to successfully combine a fully operational dairy with one of the most recognisable and beloved tourist destinations in the North of England, attracting 300,000 domestic and international visitors annually to its Visitor Centre. “By celebrating these remarkable leaders, we recognise their role in developing a more purposeful and innovative business environment. They show us how business can be done through ‘human’ leadership which nurtures talent. They provide examples to inspire other business leaders and the next generation to shape a Vibrant Economy. They demonstrate that profits with purpose lead to sustainable business, and show us that it’s not only possible, but also necessary, to do well by doing good. “The 2018 Faces have become part of a wider community that is now 300-strong. The community connects leaders with similar mind-sets and missions, who may otherwise never meet. It gives an opportunity to share ideas and insights, as well as learn from each other. “I am absolutely thrilled to have been chosen as one of the Faces of a Vibrant Economy 2018. It’s great to see Grant Thornton taking initiative and helping the business community in the UK thrive and flourish by facilitating interaction and cooperation. The profiles of the 2018 Faces of a Vibrant Economy, are available on the campaign website.